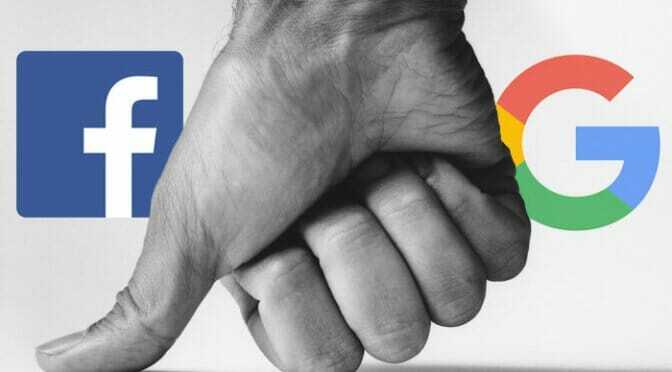 Tech Giants Google and Facebook are currently purging conservative content from Facebook and YouTube — They are hiding conservative stories on Google — They are shadow-banning conservative news on all social media. In February Facebook launched a new algorithm to ensure that conservative news would not spread on the social media platform. This was after Facebook announced it was losing 50,000,000 user hours a day in the previous quarter. The algorithm change caused President Donald Trump’s engagement on Facebook posts to plummet a whopping 45%. In contrast, Senators Elizabeth Warren (D-MA) and Bernie Sanders (I-VT) do not appear to have suffered a comparable decline in Facebook engagement. Top conservative Facebook pages with daily traffic in the millions have seen 75% to 95% drop in traffic. Young Cons, Western Journalism, SarahPalin.com, Independent Journal Review, Right Wing News, and several others have seen dramatic loss in traffic. In 2016 we were one of the few conservative sites that supported candidate Trump – along with Breitbart, The Drudge Report, Infowars, Zero Hedge and Conservative Treehouse. We are proud of our efforts to report the truth that led to Trump’s historic win. In 2017 Harvard and Columbia Journalism Review found that The Gateway Pundit was the 4th most influential conservative news source in the 2016 election. Because of this we were targeted and have seen our numbers related to Facebook and Twitter decline dramatically. 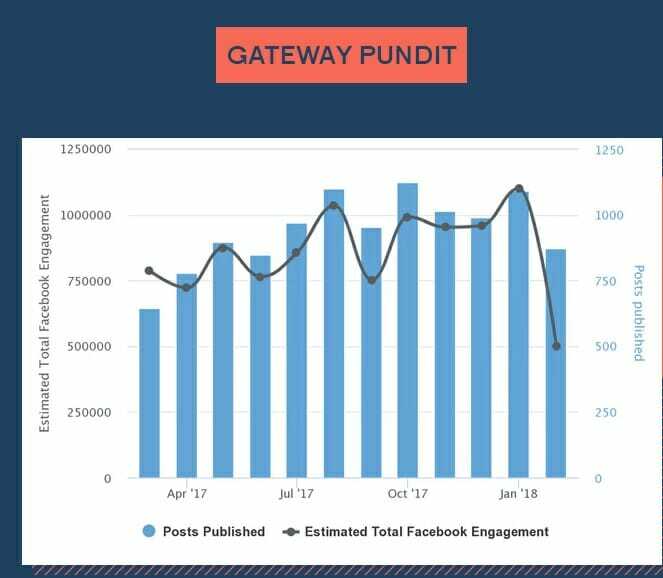 The Gateway Pundit does not rely on Facebook for our traffic numbers. Still, we saw a significant drop in Facebook traffic in the last month. And this past weekend Facebook shut down our traffic stream from the social media platform. This is corrupt, if not criminal, behavior. Meanwhile, liberal sites are doing fine. A new report by the far left Outline organization confirmed the conservative publishers were hit the hardest by the recent Facebook news feed changes. The study also found the The Gateway Pundit was hit the hardest by these changes. Facebook’s January 12 announcement that it would begin to de-prioritize news publishers and their posts in users’ News Feeds has had a surprisingly profound and partisan impact. According to The Outline’s analysis of Facebook engagement data obtained from research tool BuzzSumo, conservative and right-wing publishers (such as Breitbart, Fox News, and Gateway Pundit) were hit the hardest in the weeks following the announcement, with Facebook engagement totals for February dropping as much as 55 percent for some, while the engagement numbers of most predominantly liberal publishers remained unaffected. Both liberal and conservative publishers of clickbait and highly polarizing content also experienced a significant drop in engagement following Facebook’s News Feed de-prioritization announcement. 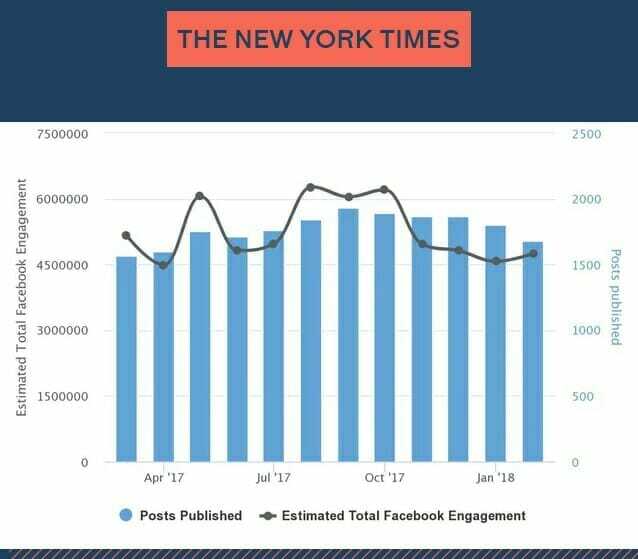 The Outline drew these conclusions after analyzing the Facebook engagement data of 20 publishers from March 5, 2017 to February 28, 2018. The Outline then posted results from several top US news publishers. You can see The New York Times has not suffered by the recent changes. But conservative news publishers were hit hard. Here is Breitbart.com’s Facebook page. 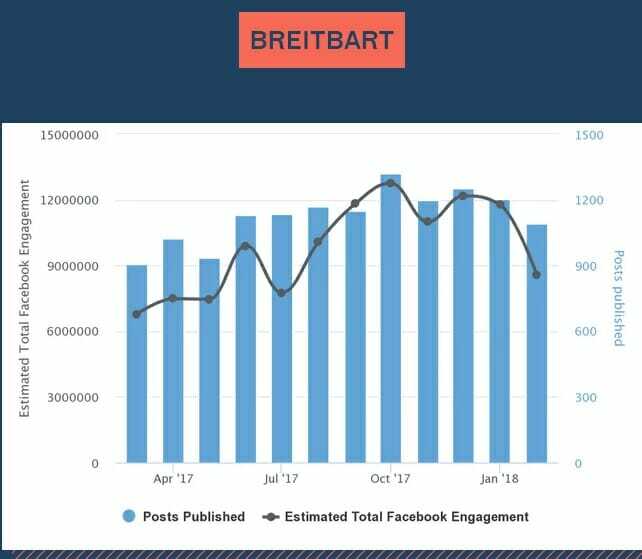 And here is The Gateway Pundit’s Facebook numbers through February. In March Facebook shut down our content. You cannot even share a Gateway Pundit story without getting a warning now. And this is after we spent tens of thousands of dollars advertising on Facebook in the past. ** Please text or call your representative and have them address this issue before all conservative publishers are shut down.